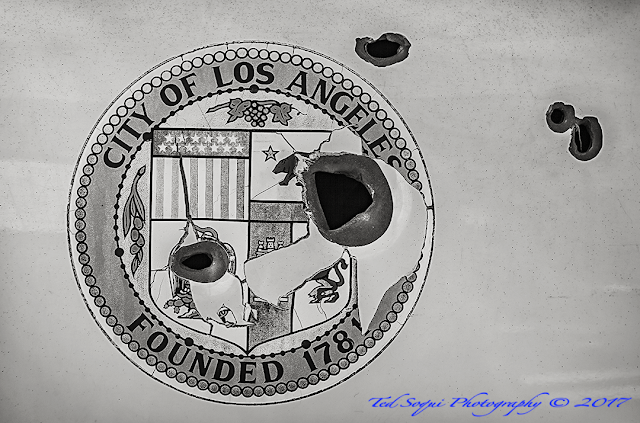 Twenty years ago today, two heavily armed gunman with fully automatic assault weapons and wearing full body armor battled LAPD officers for 44 minutes in streets of North Hollywood. The gunman had just robbed a Bank of America branch and were attempting to make a get away. 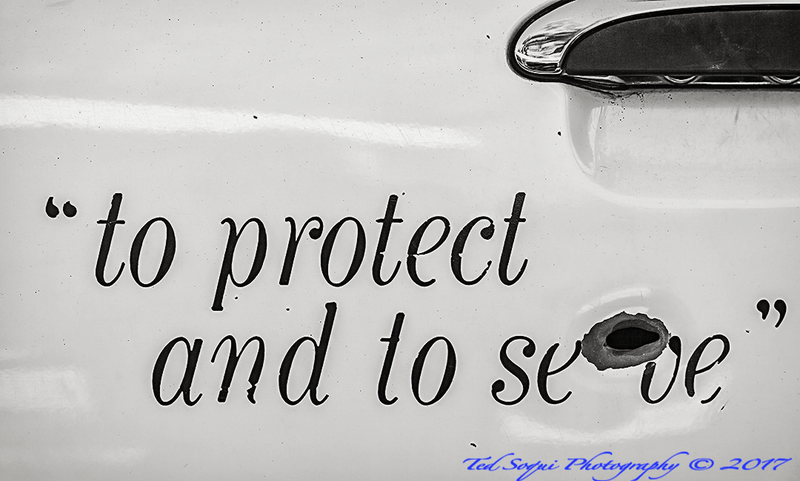 Several officers and civilians were injured during the battle, the gunman died. The event was televised live. Below are images of a LAPD cruiser with bullet holes from the assailants. 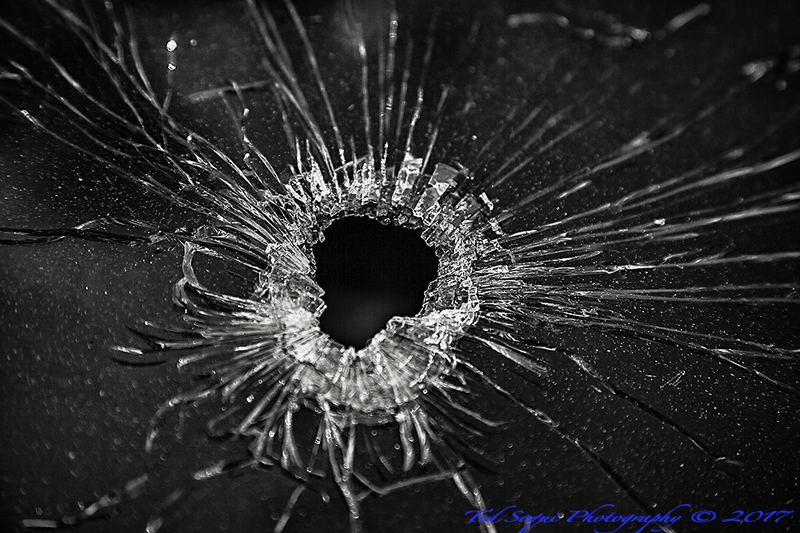 Bullet hole in the windshield of a LAPD cruiser. 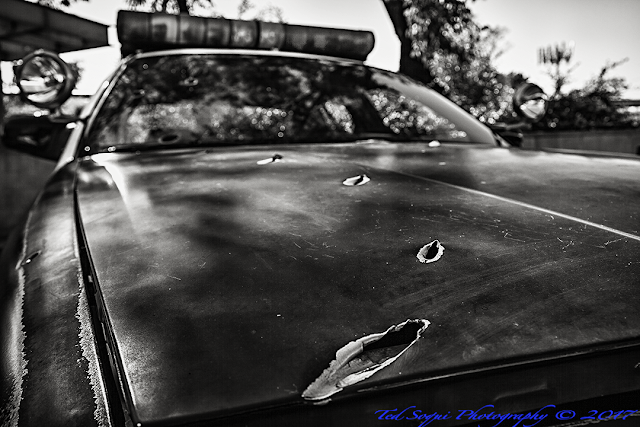 Front view of a LAPD cruiser raked by automatic gunfire.